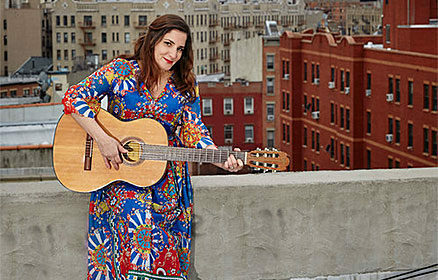 Puerto Rican-born singer, songwriter and multi-instrumentalist Ani Cordero is a powerhouse vocalist inspired by Latin America’s Nueva Cancion as well as pan-Latin folk and indy rock. Her recent album Querido Mundo features her original songs, called “profound ruminations on love and the state of the world” by NPR Music. Cordero performs with Erich Hubner (Man or Astroman) on guitar and bass, Eileen Willis (Pistolera) on accordion and bass, and Scott Kettner (Nation Beat) on drums.